With Memorial Day behind, the next “major” holiday, Father’s Day, is fast approaching on June 21…. I know, even Hallmark has been unable to generate much excitement for Father’s Day. That said, we dads do appreciate any acknowledgement,..and gifts. Don’t forget the gifts! 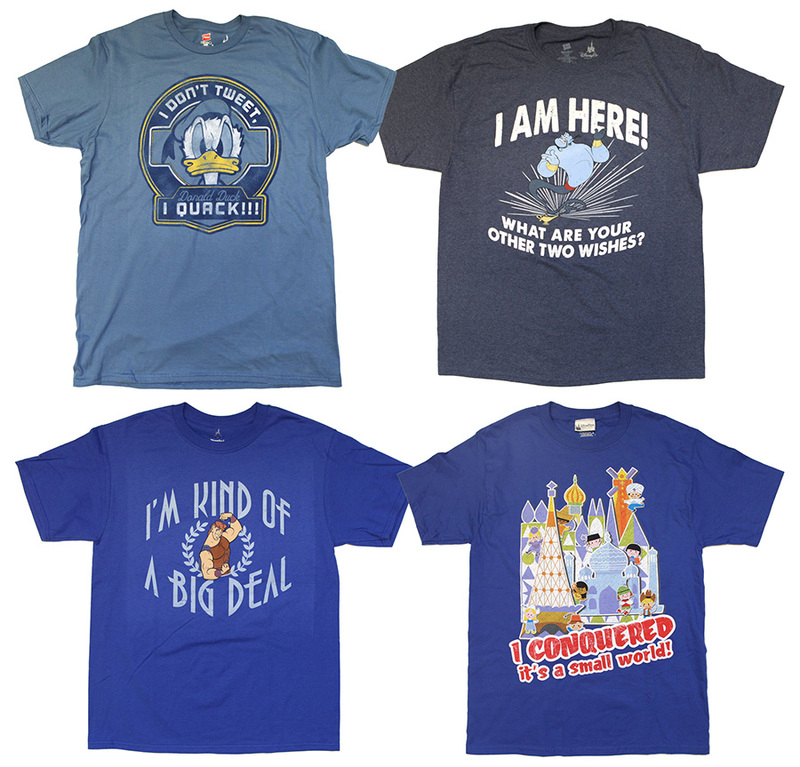 Here are 5 Disney Fathers Day gift ideas. So with no further ado, here is your Father’s Day gift guide for a Disney Dad. We will stick with the obvious, because most of us dads will be glad to get just about anything. Let’s talk about Men’s Fashion. Like many men, I have no “style,” but I do have “a style.” We typically wear khaki shorts or jeans, a polo or t-shirt, and oftentimes a cap. About the most bold statement made from our clothes is our team color (red) and logo (UofL/Go Cards!!). So, in general, for clothing, sticking with the basics and avoiding anything too flashy or over the top is a good idea. 1. Shirts – Most of you know your dad’s taste. If your gift is something that he will wear at home and not just at WDW or Disneyland, then it will be much more appreciated. Again, for most of us, nothing too wild. Simple designs with basic colors usually work best. There are great selections at your local Disney Store or there is still time to order from DisneyStore.com. Target has Marvel and Star Wars shirts. Stick with t-shirts and polos. These are usually cheaper and will get more wear. 2. Swim trunks – Summer is here. If your dad likes the pool, lake, or ocean, then this would work well. I recommend something discreet and tasteful like these. 3. Caps – A lot of us, especially those who are or are becoming follicularly challenged really like caps. Be careful, though, because most of us are particular about the “style” of cap: baseball, trucker, flat-bill, golf, etc. These are hard to order online. Get a good look and feel of you dad’s favorite cap(s), go in person, and pick out one of the same style. If in question, then it is best to choose something else. 4. Watches – I absolutely love my Mickey Mouse watch! I wear it every day. I get compliments on it frequently from children and adults. Most dads will love a watch and will not feel weird wearing it. Classic colors (black, brown, tan) and materials (leather, cloth) work best. Just avoid wild bands. It does not have to be expensive either. DisneyStore.com has a good selection. Target has Marvel watches. 5. Mugs – Mugs are an excellent, and inexpensive choice. I don’t drink coffee, but I love mugs for my hot tea. I use several; so, a new one is never a bad thing. 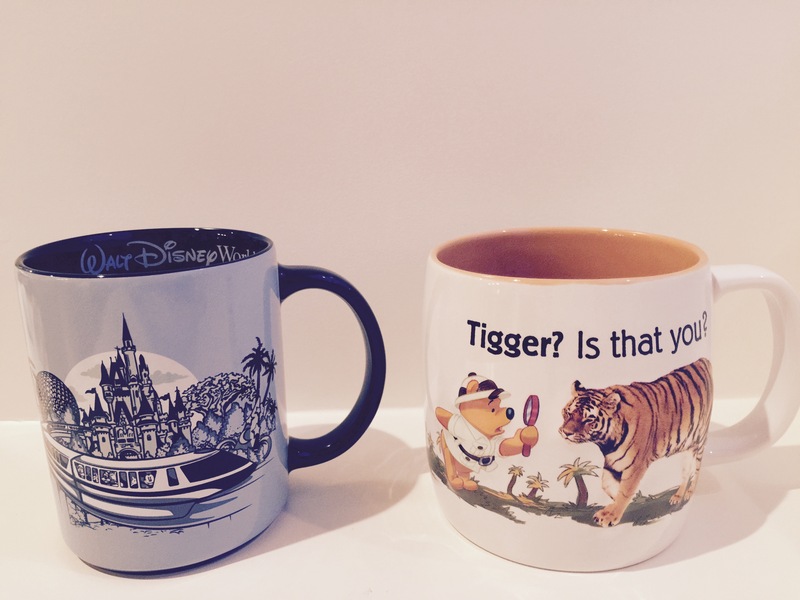 Some people, like our accountant, place Disney mugs on display in their office. 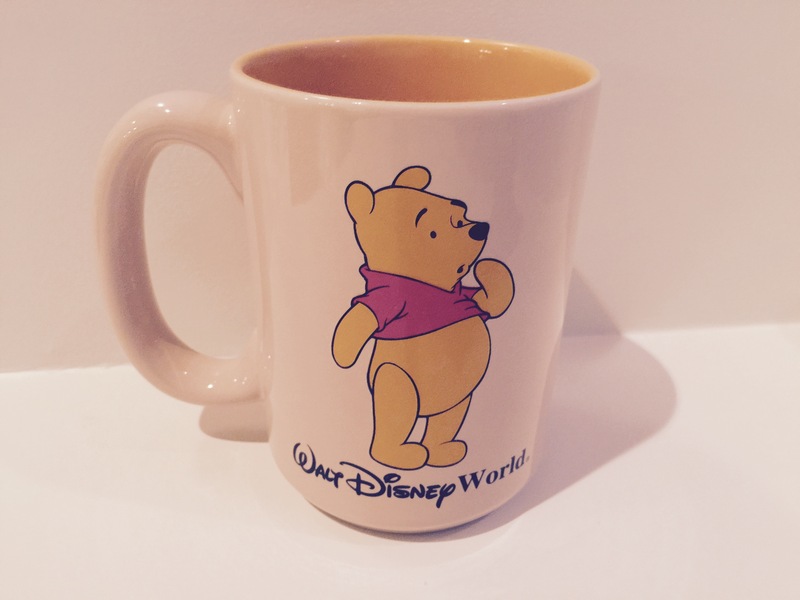 The Disney Store currently has some good options including Pooh Bear and “Inside Out” mugs. DisneyStore.com has great options, too. If you will be at WDW or Disneyland prior to Father’s Day, then the new Starbuck’s Disney commemorative mugs are a sure fire hit. **TIP** Buy 2 mugs; one for each of his 2 favorite parks. Give him the mug of his second favorite on Father’s Day. He will like it, but it will leave him wanting the one from his favorite park. Stash the other mug away until Christmas or his birthday and then give it to him. You have scored twice! Don’t forget your dads on Father’s Day this year. Your Disney dad will be thrilled with one of the above options. I hope this helps. Noah said he corrected it. I have the ‘tigger? is that you?’ mug. Love it so much! This is Elaine; (hubby wrote the post) but I had to have that mug. I looked for the t-shirt but they had sold out. Winnie-the-Pooh is my favorite Disney character. Aww those are definitely nice places to visit. So much to do in London so schedule a few days. Public transport in London is very good, so if you are renting a car I wouldn’t bother doing it until you plan on leaving london (to go to the cotswolds etc). Get a map and wander round trafalgar square, buckingham palace, hyde park, westminster, covent garden, southbank etc, all great places just to wander, take photos and take in the atmosphere etc. Also there are quite a few free museums and galleries in London (you can look up a long list with a quick google search). My favourites are the V&A and the Natural History museum which I believe are both still free. We haven’t seen a great deal of the Cotswolds but as things are further apart i’d suggest renting a car if you are able. Bath is a very nice city if you are able to get there. We have never been to Edinborough, but it is quite a distance from London, so I would suggest getting a cheap flight from one of the London airports up if you are not prepared to drive a long way, as like London you probably won’t need a car once you get there. If you were going to drive, the Lake District in Northen England is a BEAUTIFUL part of the world which I would highly recommend a visit too and would make a nice place to stop for a couple of nights to break up the journey a bit. How long are you coming for?? The amount you can do will depend a lot on the length of time. And bring clothes for all weathers… because British summers are extremely unpredictable! Hi, Thank you so much for all of the advice! I really, really appreciate it. I have wanted to visit England and Scotland my whole life and finally getting to. We are only able to afford a 9 night stay; but thankful for that! We were kind of thinking 3 nights in London; then a train to Edinburgh; then maybe a train back to the Cotswolds (then maybe rent a car to look around there or see what transport is there) then the last night in London so we would be close to Heathrow. There are little sights around London we want to see. Believe it or not Disney related! I saw an article and saved it. It was about where the inspiration for the hundred acre wood came from and Poohsticks bridge as well as the author of Robin Hood and Peter Pan. A couple of those are around London. My son has really gotten into Monty Python but I know there is nothing dedicated to them. I love J.R.R. Tolkien and C.S. Lewis so am thinking of doing a tour dedicated to them at Cambridge. I wish we had more time but my husband says this hopefully won’t be our last trip over there now that we are taking the plunge. I wouldn’t fly for years. I still don’t like it but I’m seeing the years go on and I haven’t seen hardly anything. I will pack clothes for winter/fall. I am cold natured. I pack like that for Disney in December. We are going end of August, first of September. Thanks for all of your help! No problem, hopefully you will have nice weather. The train from London to Edinburgh doesn’t look too bad actually – it takes about 4 and a half hours, however it will cost you a fair bit. If you are going to do it book it in advance (like asap), its so much cheaper, if you leave it till you get here you will be paying ridiculous prices. For example looking on http://www.thetrainline.com a single ticket for end of August is about £40 (some cheaper depending on what time of day you want to go – and its also often cheaper to buy 2 singles than a return) where as one for tomorrow is about £140 (for a single!) which is ridiculous trust me!! However if you could stomach another flight it would get you there much quicker and probably for cheaper (again book as far in advance as you can). The flights take about an hour and a half from London – so factoring in that you need to be at the airport about 1 hour before take off you’ll probably still save yourself at least an hour and a half compared to the train. Theoretically, you could then fly back from Edinburgh into Bristol and rent a car from there, driving back towards London via the Cotswolds. Look on http://www.easyjet.com for the cheapest flights. Aside from the tour Cambridge is a beautiful city and well worth a visit. It has one of the oldest universities in the country, and is an architecturally beautiful place. You could easily go there on the train from London for the day – it takes about an hour via train. Yeah, actually I expect the train would be nice and scenic (i’m so used to trains now that it doesn’t appeal to me anymore lol!) but yes, definitely book it in advance. definitely. Great post! Will send it to my wife. Also, there was a monty python musical that shows in the west end called Spamalot which I think was written by them if that was something you fancied and wanted to catch a show – It may have stopped showing by now however, which does happen, but keep an eye out incase it starts up again. Wow thanks! We’d all like that. I only recently started liking Monty Python. I don’t like all of their stuff; just some of their skits like “Silly Walks”, “nudge, nudge, wink, wink” and others. We will look into that. Thanks again.